Although their campaign has concluded, if you would still like to make a donation to support Match Day, you may always do so here. We are the Class Officers of the University of Pittsburgh School of Medicine Class of 2018. Together, along with the Medical Alumni Association and Student Affairs office, will be planning the Match Day Ceremony for students and family to enjoy this exciting, once-in-a-lifetime moment! 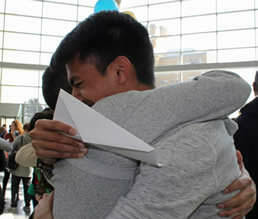 Match Day is a very special day for thousands of medical students across the country. Following completion of Medical School, rising physicians become Residents at hospitals across the country. On the third Friday in March, aka Match Day, the National Resident Matching Program (NRMP) will reveal where each student will become a resident. Some students, such as those going into Ophthalmology, Urology, or the Military Match, will find out where they are placed earlier, but still attend the Match Day Ceremony to celebrate with the entire class. While Graduation in May is the day Medical Students actually become physicians, Match Day is thought to be the culmination of a lifetime of education, and is filled with suspense, surprise, and happiness. Match Day follows 4 years of medical education, many exams, and months of traveling for interviews, and is a day we will never forget. This year, the national Match Day will be held on March 16th. The Match Day Ceremony has been held for decades at the University of Pittsburgh School of Medicine in one of the school's auditoriums. Starting last year, the Match Day Ceremony was moved to the Petersen Event Center. 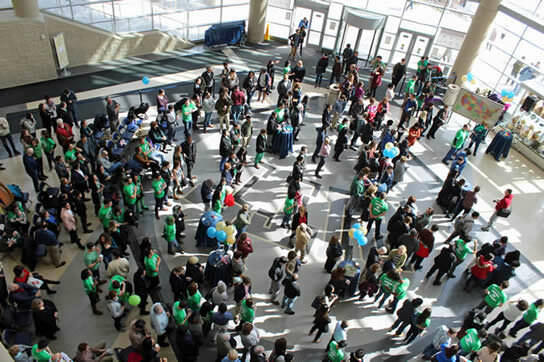 This move to the "Pete" allowed the fourth year medical students space to mingle with their friends, family, and faculty, as well as open their Match Day Envelopes in unison, and share their results together as a group. The Petersen Event Center offers ample, vibrant space for photography and a Live Stream of the Match Day Ceremony. Also, it is conveniently located across the street from both the Medical School and two hospitals that third and fourth year medical students often work in throughout the latter half of medical school. We aim to raise at least $2,500 prior to our Match Day ceremony. With your support, we can have our Match Day at the beautiful Petersen Event Center, decorate the Event Center to commemorate this exciting day, provide gifts to the Class of 2018, and cater the event with delicious appetizers and drinks. We understand that not everyone is able to make a financial contribution; sharing our EngagePitt link through email and Social Media can also help us reach our goal. We, along with the entire Class of 2018, appreciate your help in making our Match Day Ceremony an event we will never forget. Thank you! Your donation will fund a special, custom T-shirt for a member of the senior class! A donation at this level will fund a platter of hors d’oeuvres for students and their families to enjoy throughout the ceremony. We appreciate this donation immensely, as many of us will be stress-eating throughout the event! This donation will help fund a Live-Stream of our ceremony so families and alumni, as well as physicians and students who cannot attend, can watch the event in real-time. This donation will go towards an after-Ceremony event to promote class unity and allow an intimate gathering of Senior medical students to celebrate our Match. A donation of this level will allow us to hire professional photographers to take high-quality photographs of our ceremony that will last a lifetime. Thank you! Thank you so much! This donation will go a long way towards securing the Petersen Event Center, a beautiful, vibrant venue for our event.